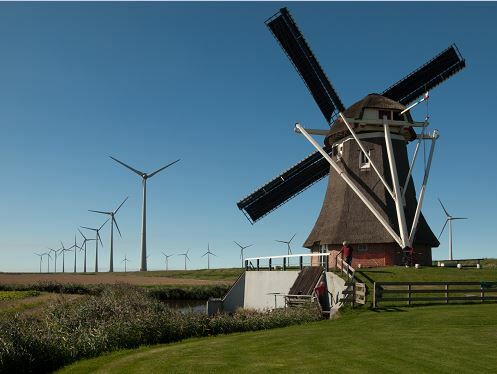 President Trump denounced wind energy last week at the National Republican Congressional Committee fundraiser in Washington, D.C.
“If you have a windmill anywhere near your house, congratulations, your house just went down 75% in value. And they say the noise causes cancer, you tell me that one, OK?” the President said, imitating the whirring sound made by wind turbines. The comment has, of course, drawn wide criticism from the left. And the “fact-checkers” on social media had a field day with it, using #WindmillsCauseCancer on Twitter last week to attack the president's intelligence and/or him personally. Question: Do wind turbines cause cancer? Schlapp: I don’t have an answer to that. I don’t... I, I, I don’t have an answer to that. Yeah, I really don’t have information on that. Question: American families are concerned today that the president says wind turbines cause cancer. Schlapp: I don’t have information on that. Of course, the sound from wind turbines does not cause cancer. But that's not what Trump's comment was really about. Does Donald Trump really believe wind turbines cause cancer? But here the thing: The facts of the comment don't matter to Trump or his core supporters. It's already been widely considered that Trump has a long-standing bias against wind turbines. And his comments about wind turbines in the past haven't always been exactly factual. 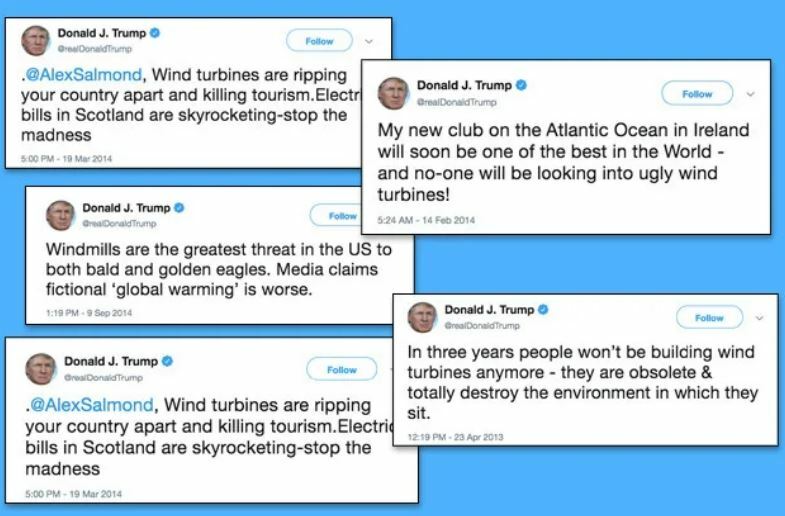 You'll notice that Trump's tweets from 2014 seem to be focused on wind turbines in Ireland and Scotland. Well, there's a good reason for that: Trump was building golf courses in both countries at the time. And I don't think it's inappropriate to speculate Trump was against building wind turbines because he thought it would negatively affect the land value of his golf course. His most recent comment clearly considers land value. But now the golf courses are built. And Trump has been quiet about wind turbines in Ireland and Scotland specifically. So why does he continue to attack wind energy? Well, here's the thing: The comment was not really an attack on wind energy. In other words, the comment was just made to pump up his core supporters. Remember, he was at the National Republican Congressional Committee fundraiser. Either way, the truth of the statement isn't something that really matters to President Trump or his core supporters. The facts, and pointing out the mistakes, only matter to Trump's critics. And most likely, President Trump probably isn't being “idiotic,” as suggested by Senator Grassley. Instead, he's probably being politically tactical. So what does all this mean for wind energy investors? Trump's campaign against wind energy started as corporate rhetoric. Now it's political rhetoric. His support or disapproval of the industry certainly can make a difference with a plan put into action. But right now it's only rhetoric. 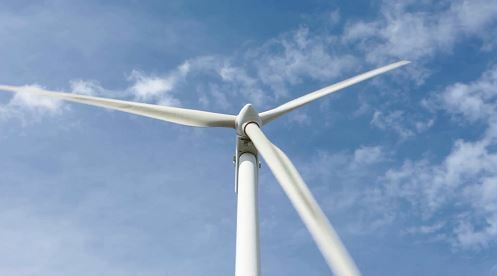 There are no reported plans to cut the wind energy tax credit any more than initially proposed, nor are there any plans to put the kibosh on the wind energy industry in the U.S. in any way. And electric generation is, of course, just the next stop for these types of machines. Wind power is probably not the single answer to the world's energy problems. 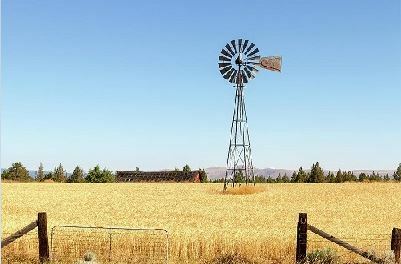 But resisting the evolution from windmill to wind turbine is akin to resisting the evolution of the telephone to wireless cell phone. Trump's recent comments on wind energy will likely have no long-term effect on the industry and, at best, only serve to strengthen the political bonds between his core followers. Wind energy investors can relax. Way before OPEC existed, one particular area in modern-day Azerbaijan was the world's "OPEC" for hundreds of years... Could it be successful once more?